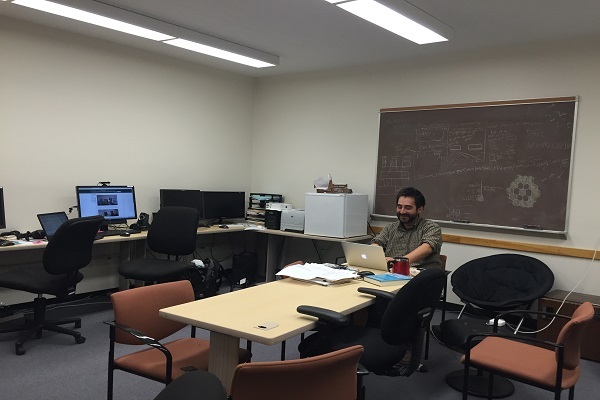 Room 202 is our main lab space that is typically used for sound analysis work. This space has six computers capable of running E-Prime 2.0 Professional, MATLAB, SPSS, Praat or any other programs needed to complete work in the lab. We also have a lab server with a Raid 10 array to back-up all of our data. This room is also an ideal space for small groups to meet to discuss questions or work together on projects. 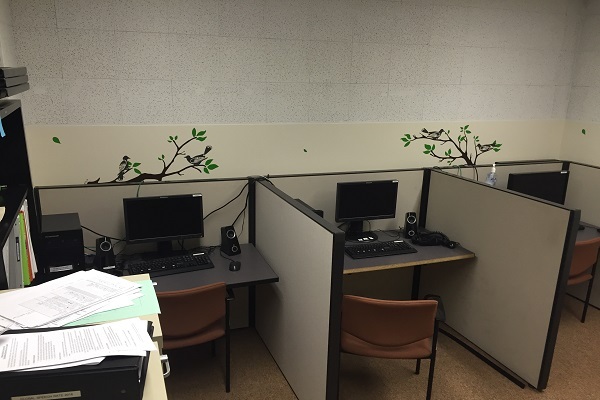 Room B-1 is used for running a variety of behavioral experiments. It is equipped with three Lenovo computers that run E-Prime 2.0 Professional with a set-up capable of running three participants at a time. We are able to collect responses using the keyboard or a serial response box. 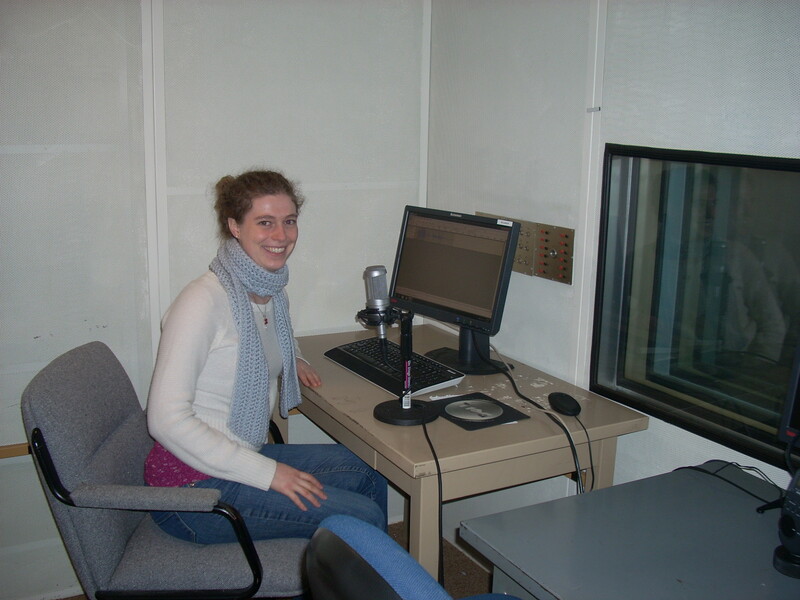 Room B-5 is our sound-proof booth, used for running participants that need to give a verbal response, as well as generating stimuli for other experiments. The booth is equipped with state-of-the-art recording devices and sound editing software. This includes a Lenovo computer connected to a MOTU pre-amp and high-end microphones from Audio-Technica and Countryman running software such as Audacity and Adobe Audition.